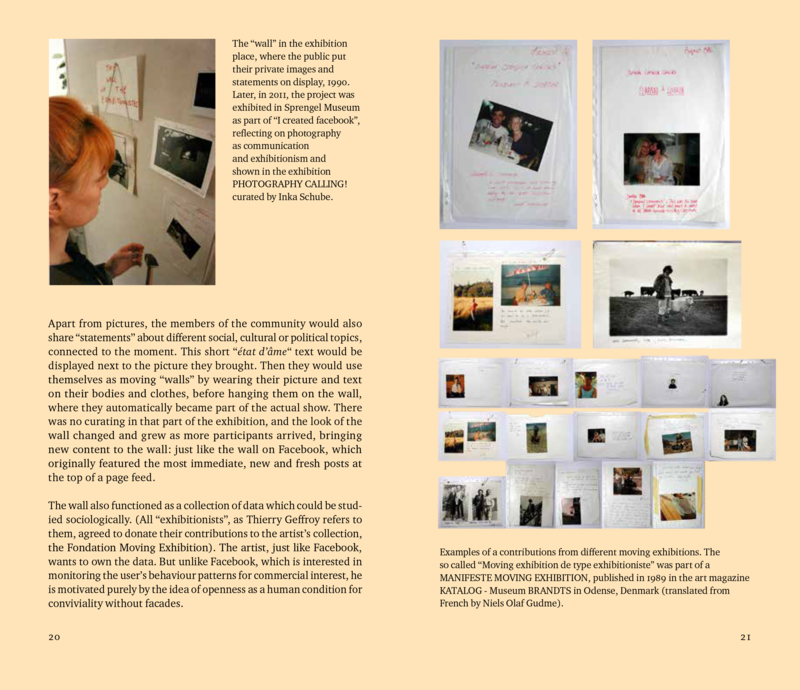 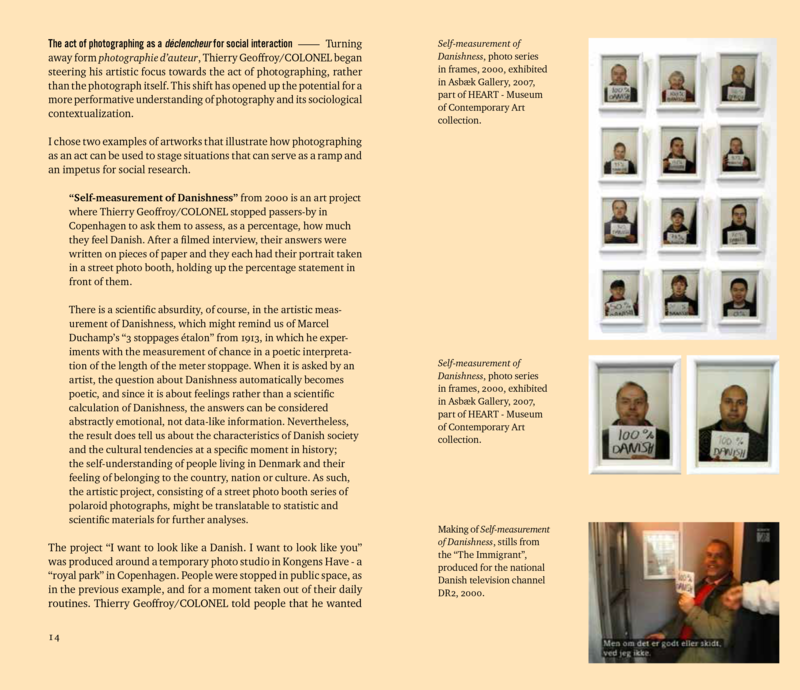 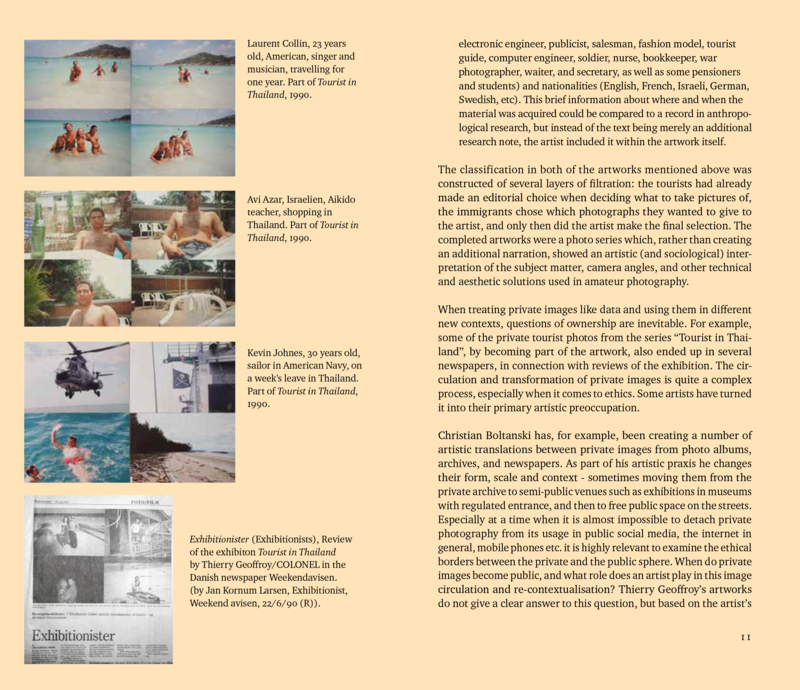 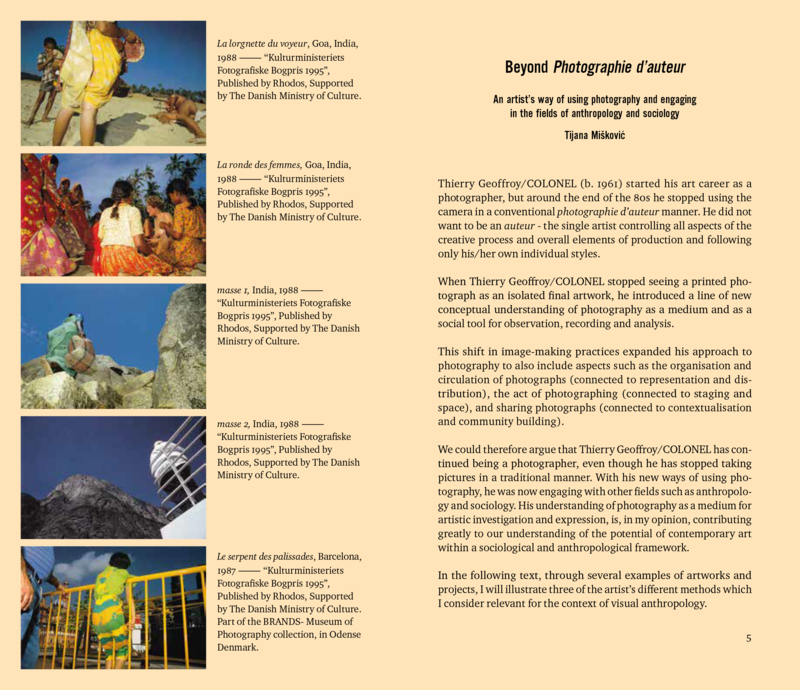 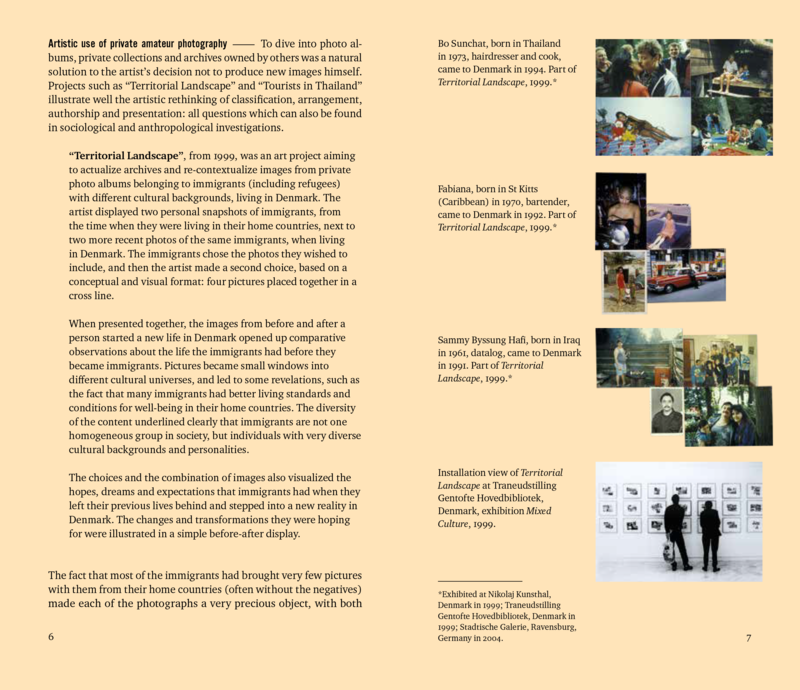 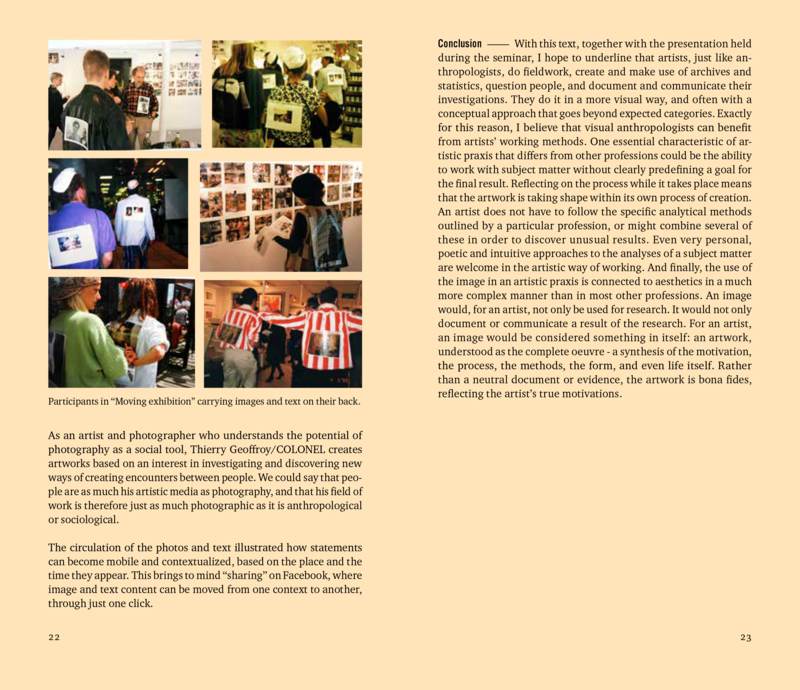 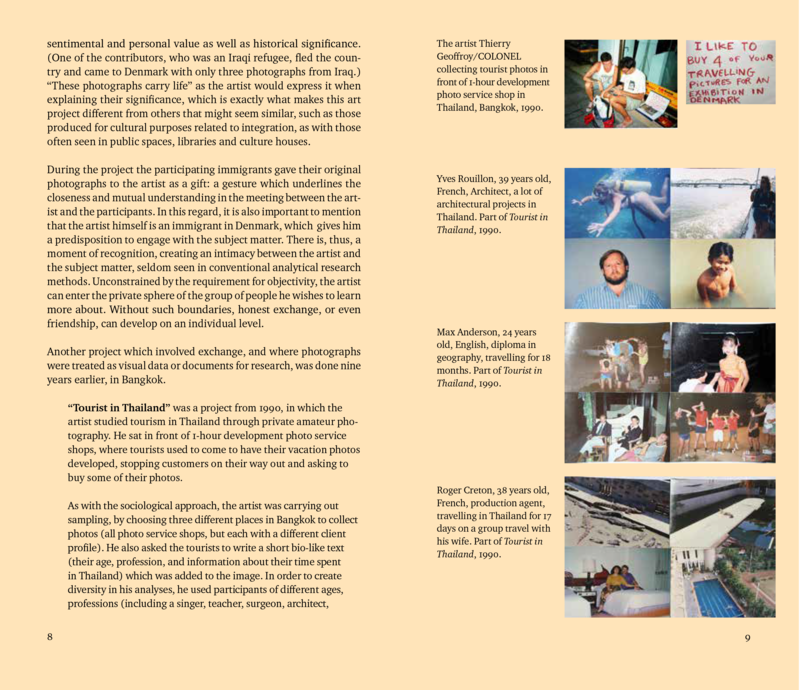 As part of the organizing team behind the seminar “Images and Research”, I wanted to open up the field of visual anthropology and include examples from the body of work produced by the artist Thierry Geoffroy/COLONEL, which goes beyond traditional ways of using photography, as visual expressions connecting to the field of anthropology. 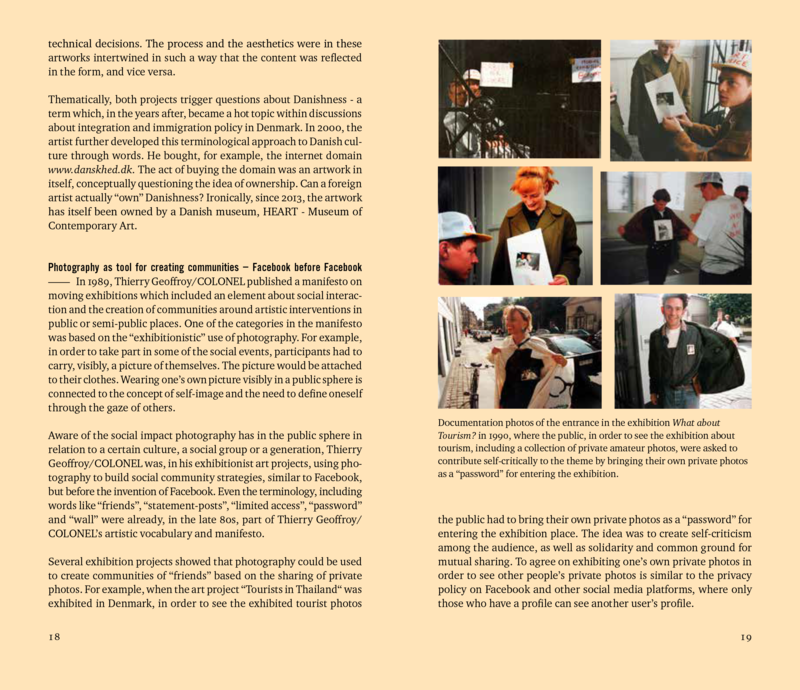 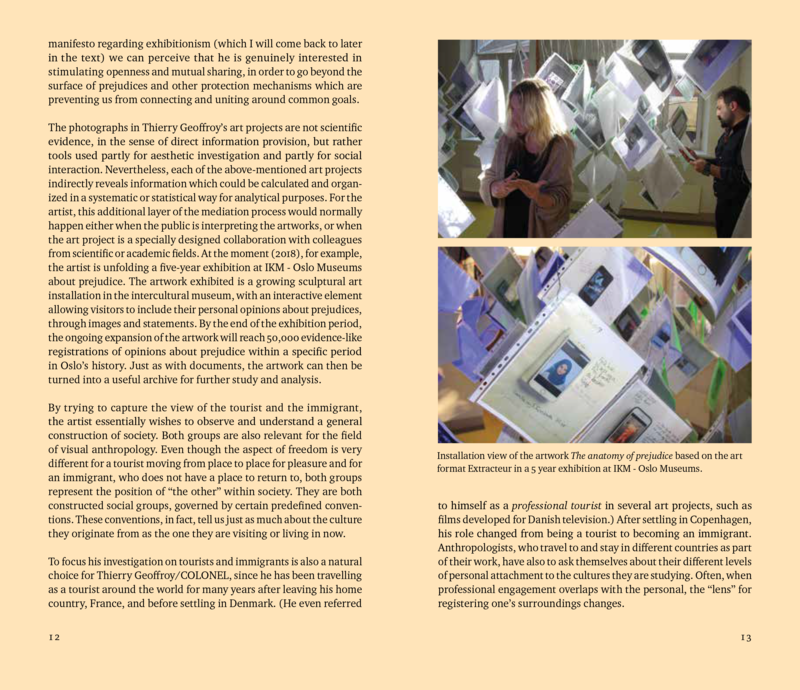 I also wanted to address some of Thierry Geoffroy/COLONEL’s avant-garde methods for turning photography into a tool for participation and intervention. 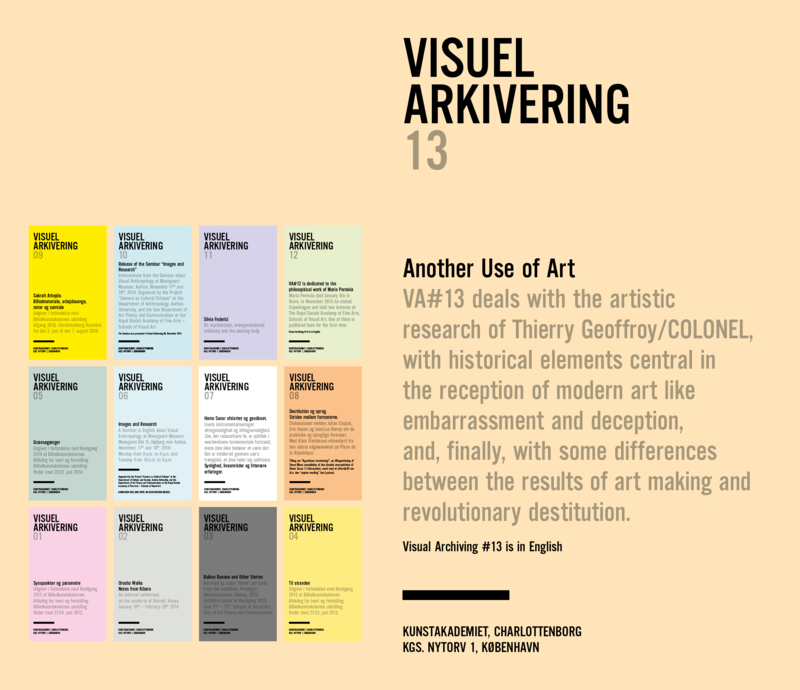 I think that the transformation of the subject matter and the expansion of artistic scope in the work of Thierry Geoffroy/COLONEL is pertinent to the discussion of several methodological problems in artistic research.